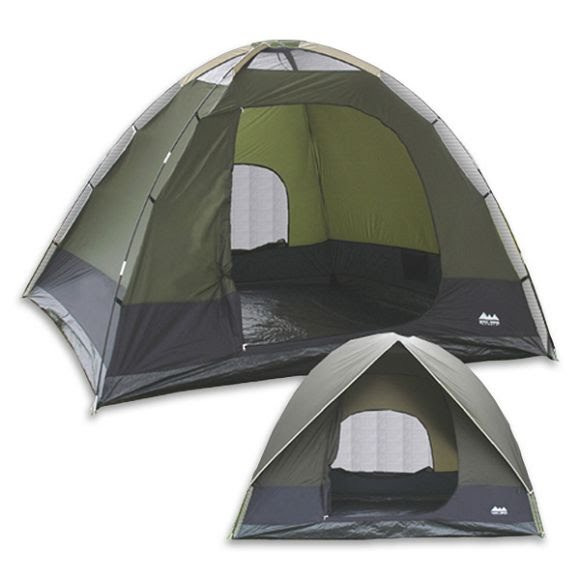 Traditional dome style tent from World Famous that features taped seams and four-way peak rain fly offering excellent protection from the elements. Ideal for family outings and casual car camping adventures. Taped seams for weather protection. Large mesh star gazer panels. Four-way peak rain fly providing awnings over openings with thru-view panels. Complete with storage/carry bag and stakes.